In a Nutshell: In recent years, Bank of America has emerged as a strong proponent of environmental and sustainability efforts in both its own practices and through supporting partners and clients. The banking leader has demonstrated its commitment to sustainability in a number of ways, including climate finance initiatives, aiding nonprofits, and through its own internal accountability efforts. Along the way, the company has created real-world change and economic opportunities. 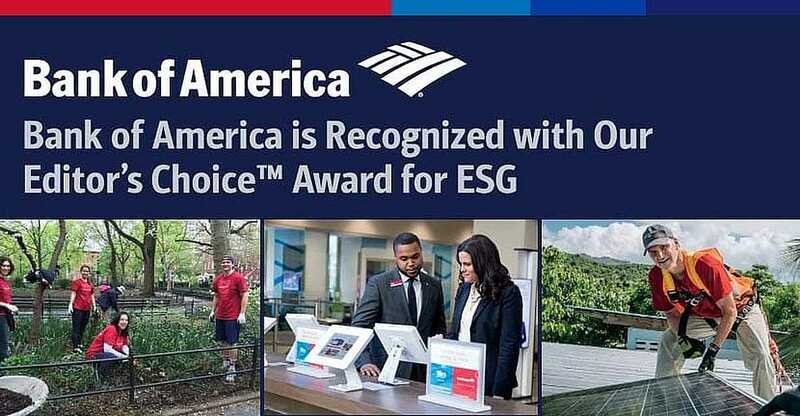 We are recognizing Bank of America with our Editor’s Choice™ Award for ESG for demonstrating that sustainability is not only a good business practice, but it makes for good business. As the Global Environmental Executive at Bank of America, one of the largest banking institutions in the United States, Alex Liftman deals with powerful players in the world of finance on a regular basis. She has been responsible for the implementation of significant sustainability efforts by the company and has been instrumental in the bank receiving major awards and recognition at the highest levels over the years. Yet, it was only recently that the impact of Liftman’s environmentally focused efforts really hit home for her in an unexpected way. Liftman said the executive wanted to consult with her about how to increase client engagement to deploy more capital toward low-carbon energy options. 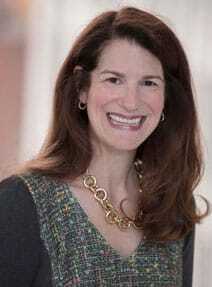 Alex Liftman leads climate finance initiatives as Bank of America’s Global Environmental Executive. While she was on the call, Liftman received an email from one of Bank of America’s leaders in risk management, who was sending over ideas on how to approach managing climate risk in its finance initiatives. Next, she heard of how another Bank of America leader was scribbling ideas on the back of a napkin about how to implement solar or wind energy at ATMs. The whole day was call after call, and story upon story, where very senior bank executives were thinking about how to incorporate sustainability and environmental issues into what they do every day, she said. Bank of America has been working toward this important cultural shift for years through a number of very impactful environmental programs. One of its most notable recent efforts is its environmental business initiative with a goal to deploy $125 billion to low-carbon, sustainable business activities by 2025. To date, the bank is ahead of schedule with more than $70 billion already deployed since 2013. Along the way, the company has also shown that being a responsible steward of the environment and functioning as a highly successful business are not mutually exclusive. We are recognizing Bank of America with our Editor’s Choice™ Award for ESG for demonstrating that sustainability is not only a good business practice, but it makes for good business. As part of the bank’s larger Environmental, Social, and Governance team, which is led by Bank of America Vice Chairman Anne Finucane, Liftman said the Global Environmental group is responsible for working directly with various lines of business to support Bank of America’s sustainability mission. This means building partnerships and investing in companies that are also striving to meet environmental sustainability goals whether it is through their own business practices or they are producing environmentally focused goods or services. Liftman said while some people harbor lingering notions that investing in areas like sustainability is overly risky or not profitable, the reality is most people these days expect to have the same type of return — if not better — on investments in the environmental space. Bank of America has made it a priority to support companies working toward sustainability goals. “I think we’ve really seen an evolution in people understanding that clean, green business can actually be really good business,” she said. The bank has helped foster cleaner, greener investments, in part, by focusing efforts on green bonds — a bond type designated for use in climate and environmental projects — and tax equity investments. In fact, earlier this year, Bank of America became the first US financial institution to issue four corporate green bonds, with it’s latest and largest totaling $2.25 billion. It has also been the leading underwriter of green bonds globally since 2007. 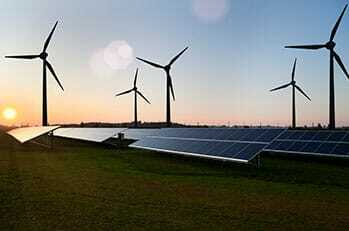 “Green bonds are an important tool for the private sector to finance clean and alternative energy sources, as well as other environmentally minded activities, at competitive market rates. We’ve seen tremendous demand in the debt capital markets, with all four of our green bonds significantly oversubscribed, and we are responding to that demand,” said Finucane in a press release. Through its tax equity investment approach, the bank is able to invest much-needed capital into sustainably minded efforts and claim green energy tax credits. Liftman said Bank of America’s climate finance initiatives are only a portion of the company’s overall efforts toward its low-carbon goals. Its environmental mission runs through the whole company and is implemented not only through investments, but with charitable funding, striving to meet operational goals, and through education. In our conversations with Bank of America, we learned a bit more about each of these areas. As a large global institution, Bank of America understands the impact it can have on the environment and takes steps to remediate those impacts in multiple ways. Its primary areas of focus revolve around goals to reduce greenhouse gas emissions, water and paper consumption, waste generation, and boosting supply chain efficiencies. It is committed to reaching carbon neutrality and using 100% renewable electricity by 2020. The bank is also ahead of track to maintain at least 20% LEED-certified square footage by 2020. As of last year, 25% of Bank of America’s global workspace was LEED-certified. It has also made significant reductions to paper usage, water usage, and waste generation since 2016. The bank’s progress and goals in each of these specific areas can be found on the Bank of America website. Bank of America also works to ensure that its employees are doing their part to act as good environmental stewards, not only at work but at home and in their communities. The bank created the My Environment® employee program, which currently includes 23,000 employees across 30 countries. A variety of initiatives, including discussion courses, take action programs, and volunteer opportunities, serve to educate employees on how to bolster their own environmental efforts. The bank also incentivizes smart environmental decisions in a number of ways. “We encourage employees to purchase electric vehicles by reimbursing a portion of the cost of the electric vehicle or charger, and we recently joined the U.S. Department of Energy’s ‘Workplace Charging Challenge’ through which participating companies commit to add charging stations for electric vehicles in their parking facilities,” according to the Bank of America website. Employees may also take advantage of discounts on solar panel installation and car-sharing programs. Last year, Bank of America provided more than $22 million in philanthropic support to organizations working toward making positive impacts in local communities and around the world. The bank partners with “leading nonprofit and academic organizations that are working toward a sustainable, low-carbon energy future, expanding access to clean and safe water, and developing extreme weather and climate change resilience solutions,” according to its website. Recent partners working toward a low-carbon energy future include Ashden, which showcases and supports sustainable energy trailblazers; Ceres, a sustainability nonprofit that works with influential investors and companies to build leadership and drive solutions in the economy; and American Forests, which restores and protects forests across the country. The bank has also partnered with The Nature Conservancy, Village Water, and the Center for Climate and Energy Solutions, in support of clean water and climate change research. In an effort to maintain focus on its diverse and abundant goals, Bank of America imposes strong governance structures on its environmental activities, including business and operational goals, risk management, and reporting. “Bank of America has a dedicated senior leadership committee focused on environmental, social and governance topics and an internal environmental team partnering across lines of business and operational groups to identify and advance solutions to help transition to a sustainable, low-carbon economy,” according to the bank website. Led by Finucane, the ESG committee, which is “accountable to the Chief Executive Officer and reports to the Corporate Governance Committee of the company’s board of directors,” meets on a quarterly basis to identify and discuss issues central to the bank’s ESG focus. The committee also helps to set and monitor the company’s environmental sustainability goals. Bank of America has been able to demonstrate how its efforts and investments in supporting low-carbon and environmental efforts are producing results it can be proud of, Liftman said. She said the bank looked at a portion of environmental projects it has invested in, including solar, wind, and LEED construction, to determine its economic impact. The analysis included a pool of around $29 billion in financing and found that the capital the bank deployed in these areas is supporting about 76,000 jobs a year on average and contributed more than $35 billion to the GDP. Liftman said it’s not just about the big investments that generate impressive numbers, however. One of the projects that stands out to her is Bank of America’s work as a partner with Oakland, California-based Grid Alternatives. The nonprofit company’s mission is to make renewable energy technology and job training accessible to underserved communities. It envisions a successful transition to clean, renewable energy that includes everyone, according to its website. Grid Alternatives helps make renewable energy technology and job training available to low-income individuals, women, and minorities. Liftman said Grid Alternatives is helping create the workforce of the future that includes individuals from low- and moderate-income communities, minorities, and women making impacts in the space. In September, Liftman attended Climate Week in New York City, where influencers and decision-makers from all over the world discuss climate action and learn about the latest innovations in the space. This year, Liftman noticed a theme emerging from the events she attended and the discussions she had: How can leaders move the environmental conversation beyond just the energy and power sectors and into the broader area of the economy as a whole? If Liftman’s and Bank of America’s past efforts are any indications, that question will be answered soon enough.